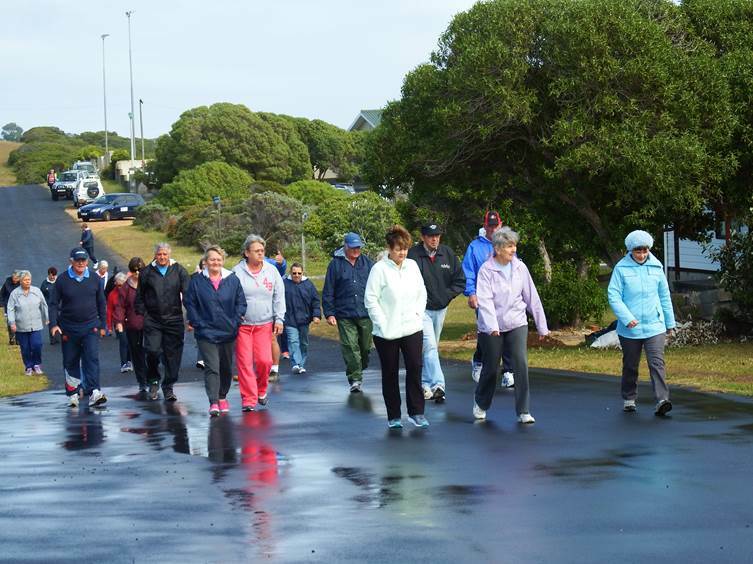 On 26 October 2017 members of the Franskraal and Gansbaai communities gathered to participate in the annual breast cancer awareness walk. 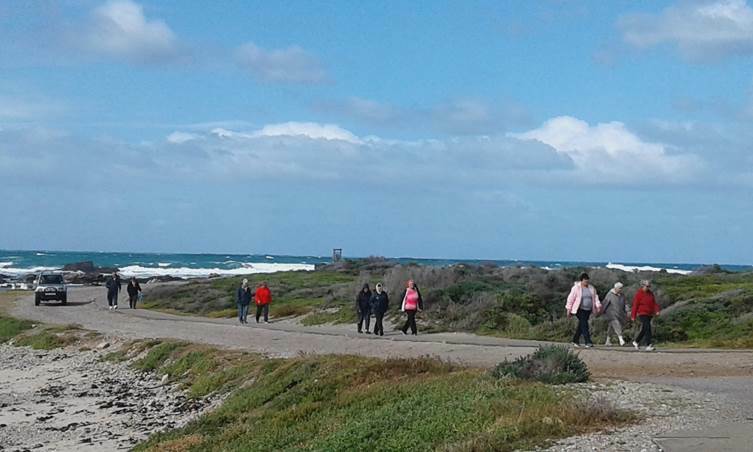 Despite raining conditions, the group enjoyed a lovely walk along the coast. 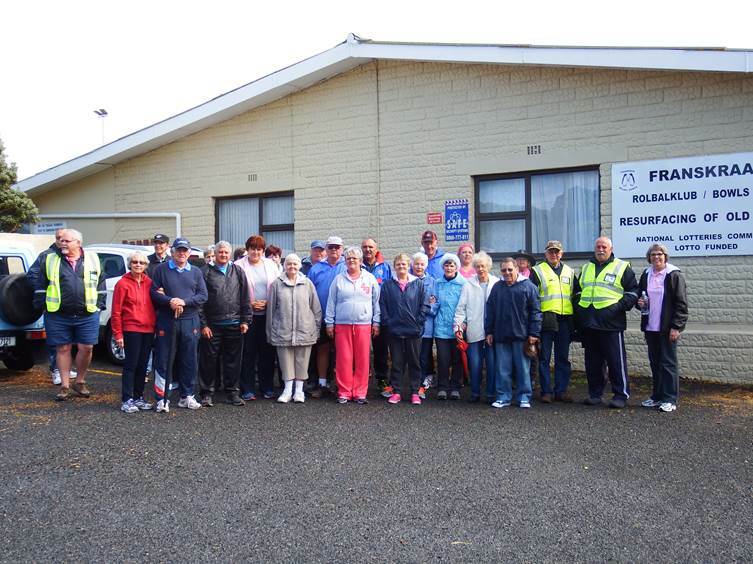 Franskraal Neighbourhood Patrol members manned the water station and also assisted some participants who could not finish the route. 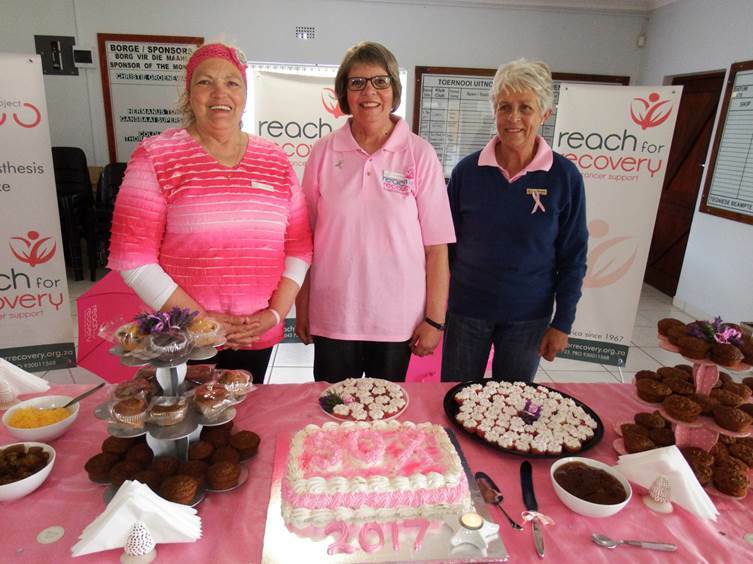 After the walk participants gathered at the Franskraal Bowls Club where they all celebrated Reach for Recovery’s 50th and were treated to some refreshments and a lucky draw with prizes donated by Franskraal and Gansbaai business. 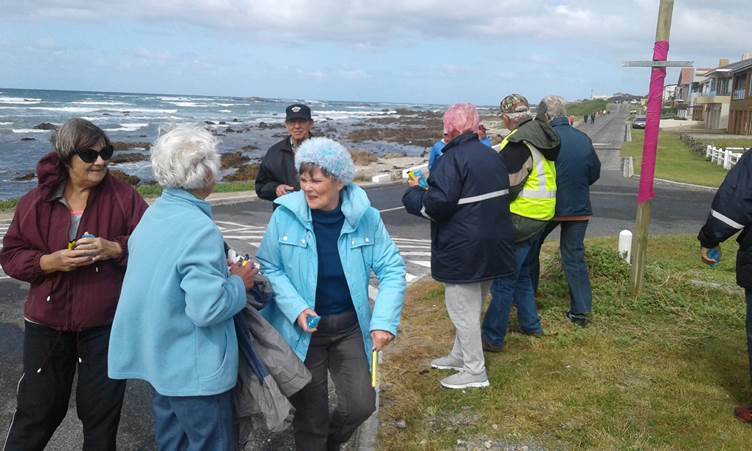 Three of our volunteers from the Franskraal/Gansbaai area have all “retired” but still continue to support the Hermanus Reach for Recovery Group with patient visits. They are Antionette Jooste (Tygerberg), Annaleen Genade (Paarl) and Andriette Bruwer (Worcester).